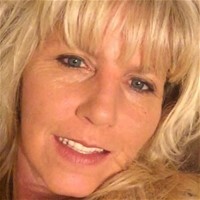 Melissa Lynn Bowling, 50, of Elizabethtown, died Thursday, January 31, 2019 at the University of Louisville Hospital. She was a native of Hardin County and worked at Akebono in Quality Control. She was preceded in death by her brother, Walter Emerson Brewer, Jr. She is survived by her husband, Bill Bowling; two children, Nicholas (Ashley) Longoria and Hunter (Jess) Asher all of Radcliff; her father, Walter (Ann) Brewer of Michigan; her mother, Veronica Brewer of Elizabethtown; a brother, Robert Brewer of Florida; a sister, Michele Blair of Elizabethtown; and three grandchildren, Miriam, Jeff, and Javi. A graveside service is at 11 a.m. Tuesday at Elizabethtown Memorial Gardens. Visitation is from 4-8 p.m. Monday and continues after 9 a.m. Tuesday at Brown Funeral Home. Condolences may be expressed online at www.brownfuneral.com.